According to the 2011 data, released recently, 24,821 people have registered Sanskrit as their mother tongue. 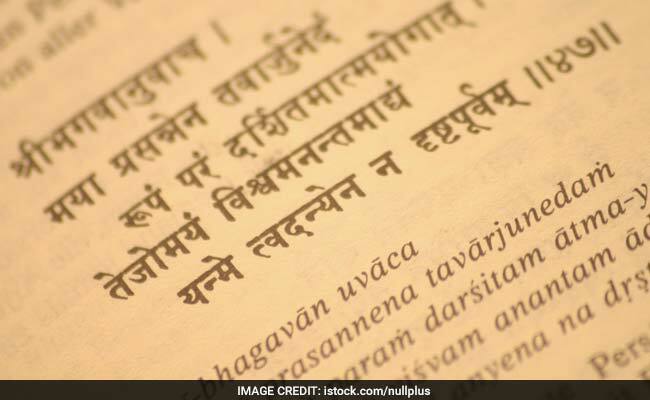 Sanskrit may be the least-spoken language in India but it is far from being done and dusted as latest census figure of 2011 shows the ancient language has earned 10,000 new speakers in a span of 10 years, a growth of 71 per cent. Hindi-speaking population in the country has increased by more than 10 crore between 2001-11, thus remaining India's most spoken language, followed by Bengali, which added more than 1.10 crore speakers in the 2011 census in comparison to 2001. According to the 2011 data, released recently, 24,821 people have registered Sanskrit as their mother tongue, in comparison to 14,135 people who had said Sanskrit was their mother tongue in 2001. The ancient language speaking population is just 0.00198 per cent of India's total population of 121 crore. Hindi-speaking people, as per the 2011 census, is 52.83 crore, which is 43.63 per cent of the country's total population. In 2001, India's Hindi-speaking population was 42.20 crore. India's second most speaking language is Bengali, which is spoken by 9.72 crore citizens -- 8.03 per cent of the total population. The Bengali speaking population was 8.33 crore 10 years ago. A total of 8.30 crore people in the country speaks Marathi, which is 6.86 per cent of the total population. Marathi-speaking population in 2001 was 7.19 crore. Telugu, Tamil and Gujarati speaking population in the country are 8.11 crore, 6.90 crore and 5.54 crore respectively. The Telugu, Tamil and Gujarati speaking population in 2001 were 7.40 crore, 6.07 crore and 4.60 crore respectively. The population of Urdu, Kannada and Odia speaking population are 5.07 crore, 4.37 crore and 3.75 crore respectively while the three language speaking population in 2001 were 5.15 crore crore, 3.79 crore and 3.30 crore respectively. Malayalam, Punjabi and Assamese speaking population are 3.48 crore, 3.31 crore and 1.53 crore respectively while the population conversing in the three languages were 3.30 crore, 2.91 crore and 1.31 crore respectively in 2001.